Shred the zucchini using a box grater or a food processor fitted with a shredding blade. Put the shredded zucchini in a large bowl. Sprinkle with the salt and toss well. Walk away for 10 minutes. 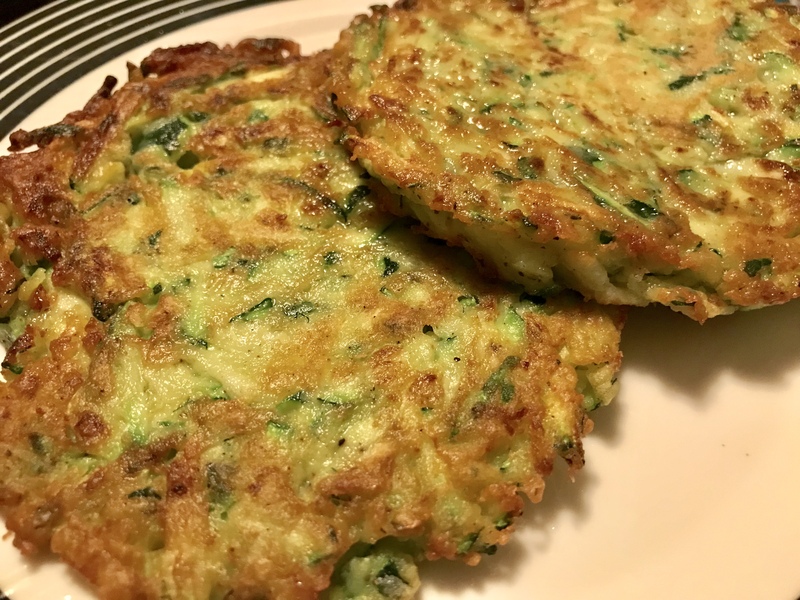 Now it’s time to squeeze all the moisture out of the zucchini because nobody likes soggy fritters. Note: If you’re really salt sensitive, you may want to rinse the zucchiniwith water, then squeeze it out. Scoop up a generous handful of the zucchini and squeeze the living daylights out of them into a sink or bowl. You want them dry. Place in a different bowl. Add the coconut flour, egg and pepper. Stir to combine. Heat a large skillet over medium-low heat. Melt a large spoonful of ghee or coconut oil in the pan. 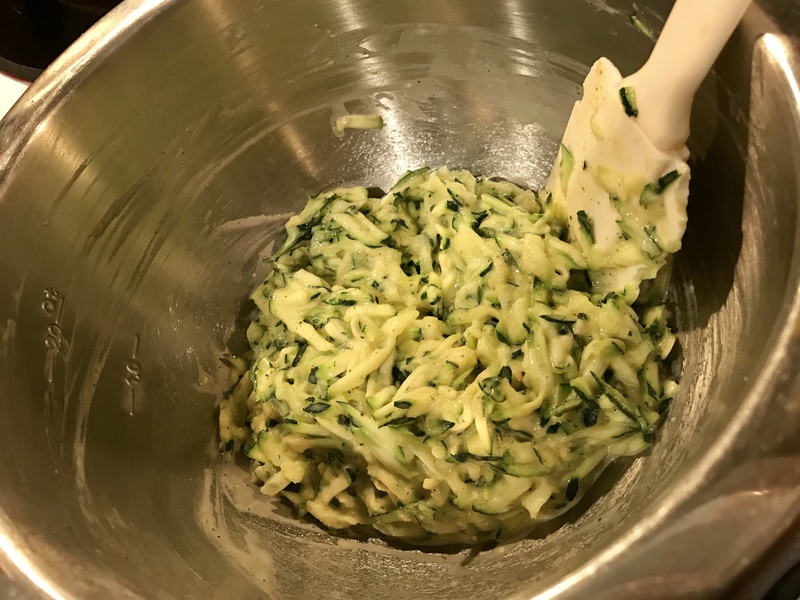 Pack a ¼ cup measuring cup with the zucchini mixture, pressing it down inside the cup. Turn the cup out onto the pan and flatten the zucchini until you get a patty. You can also use a disher or just eyeball it. I fit about 4 or 5 in a large skillet at one time. Cook each side for 3 to 5 minutes or until nicely browned. Repeat until you‘ve used up all the zucchini mixture. Be sure to add more ghee or coconut oil to the pan each time you start a new batch. Cool on a cooling rack so they don’t get soggy.